HONG KONG (Reuters) - Tencent Holdings is set to report on Thursday its sharpest quarterly profit decline in more than 13 years, as its failure to launch new blockbuster games due to China's regulatory review capped revenue growth. China resumed new gaming approvals in December after a nine-month hiatus partly due to concerns over violent content and gaming addition. But it has yet to allow Tencent, Asia's second-most valuable listed company, to charge users for such hit games as "PlayerUnKnown's Battlegrounds Mobile" and "Fortnite: Battle Royale". Investors will be keenly watching for updates from Tencent's top management about the games approval process and whether it will participate in a multi-billion-dollar bid for South Korean gaming firm Nexon to beef up its games portfolio. Tencent is likely to report a 12 percent drop in net profit for the quarter ended in December to 18.3 billion yuan (2.04 billion pounds), according to the average estimate of analysts compiled by Refinitiv. That would mark its steepest profit decline since the third quarter of 2005. Revenue is seen at a record 83 billion yuan, but growth will halve to 25 percent from 51 percent a year ago, underscoring damages incurred due to the regulatory hurdles. Jefferies analyst Karen Chan said in a note that Tencent's near term mobile game revenue will likely remain under pressure but would accelerate in the second half of 2019 with new launches and a lower comparison base. "Long-term thesis remains intact despite near-term mobile game growth volatility," she wrote. But Ming Lu, an analyst who publishes on Smartkarma, said he believes Tencent benefited from the license suspension, as it increased its market share during that period when smaller players perished. "The market share increase in the active user base will bring an increase in revenues during 2019," he said. Tencent, which operates China's most popular social media platform WeChat, also needs to address investor concerns about the impact of China's slowing economy on its income from consumers and advertisers as well as threat from new competitors such as Tik Tok. Chinese GDP grew at the slowest rate in nearly three decades last year and is likely to further decelerate this year amid a trade war with the United States. Tencent in September announced a restructuring aimed at moving from being consumer-focused to serve industries as well, and created a new Cloud and Smart Industries business group, but those steps have yet to make a mark on its bottom line. Tencent's results could still beat expectations on investment gains like they did in the third quarter as it took several portfolio firms public last quarter including Tencent Music Entertainment, gaming developer iDreamsky Technology Holdings and fashion e-commerce firm Mogu Inc, analysts said. 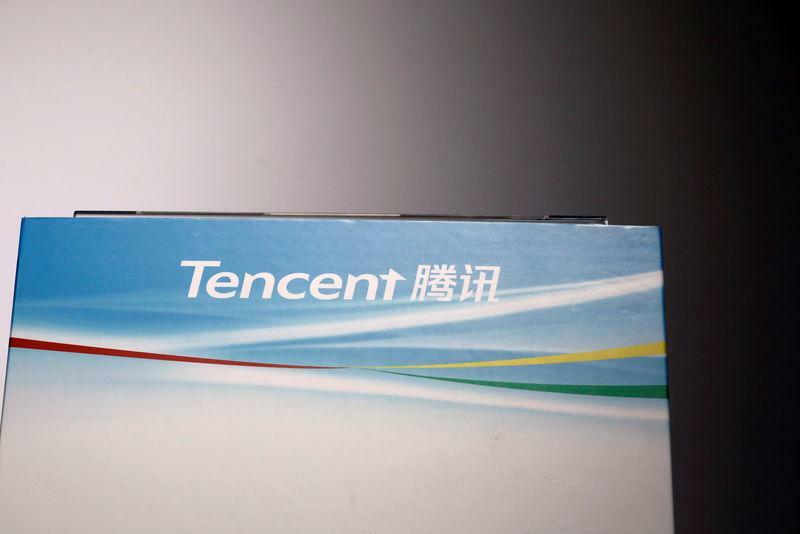 Shares in Tencent have risen 18 percent so far this year, giving it a market capitalisation of $449 billion, second only in Asia to Chinese e-commerce firm Alibaba Group Holding. But the stock is still 22 percent below its peak of HK$476.6 reached more than a year ago.